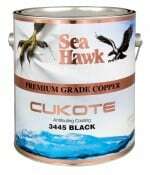 Cukote Bottom Paint Has Clear Advantages over Micron CSC Bottom Paint! Harder Ablative Provides Longer Lasting Performance compare to Interlux Micron CSC! Proven Premium Performance in All Waters! 1 Year Written Guarantee Against Barnacle Growth! This entry was posted in Bottom Paint Review and tagged compare interlux micron, compare interlux micron csc, compare micron csc, compare to micron csc, compatible with micron csc, cukote bottom paint, cukote compared, cukote vs, cukote vs micron csc, interlux micron csc, micron csc, sea hawk cukote, sea hawk cukote compared on January 5, 2011 by Jason Revie. Mission Bay Bottom Paint Has Clear Advantages over Trilux 33! 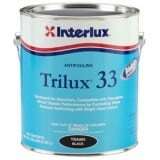 30% Longer Lasting Performance than Interlux Trilux 33 ! Completely Safe for Aluminum Boats, Including Pontoon Boats! 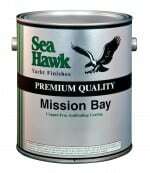 This Sea Hawk Mission Bay and Interlux Trilux 33 bottom paint review / comparison was based on customer feedback and information received by the manufacturer(s) either directly or indirectly, and is solely the opinion of Bottom Paint Store. This entry was posted in Bottom Paint Review and tagged bottom paint review, compare interlux trilux, compare mission bay, compare trilux 33, Interlux trilux 33, interlux trilux 33 bottom paint review, Sea hawk mission bay, sea hawk mission bay bottom paint review, trilux 33 review on January 5, 2011 by Jason Revie. Monterey Bottom Paint Rated for 24+ Months over Aquagard Bottom Paint! Longer Lasting Performance than Aquagard! Monterey is a Multi-Season Bottom Paint! Lower VOC Means More Friendly Application! 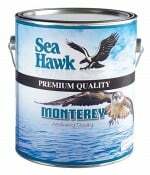 Sea Hawk Paints Monterey Has a One-Year Written Guarantee Against Barnacles! This entry was posted in Bottom Paint Review and tagged aquagard bottom paint review, aquagard paint, aquagard vs monterey, aquaguard review, aquaguard vs monterey, compare aquagard, compare aquaguard, monterey bottom paint, sea hawk paints monterey on January 5, 2011 by Jason Revie. Monterey Bottom Paint Has Clear Advantages over Hydrocoat and Bottom Paint! 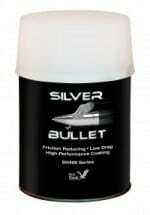 Longer Lasting Performance than Pettit Hydrocoat! Monterey is a Multi-Season Bottom Paint! One-Year Written Guarantee Against Barnacles! This entry was posted in Bottom Paint Review on January 5, 2011 by Jason Revie. Biocop TF Bottom Paint Outperforms in Micron 66 Bottom Paint in Independent Testing! 30% Better Performance in Longevity and Reduced Growth! US Made with Premium Copper, Solvents, and Rosins! Bottom Paint That Works in Fresh Water! Safer to Apply and Less Odor During Application! 2011 October Issues of Power & Motoryacht Magazine rates Biocop TF Excellent! Once Limited to Mega Yachts (82FT and above), Biocop TF is Legal for all Size Boats! 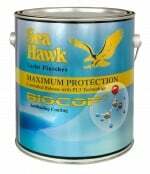 This entry was posted in Bottom Paint Review and tagged biocop tf reviews, compare biocop tf, compare micron 66, interlux micron 66, micron 66 reviews, micron 66 vs biocop tf, sea hawk biocop tf on January 5, 2011 by Jason Revie.